Elmhurst College will celebrate young artists and public school art programs from across the Chicago area when it hosts the 19th Annual High School Exhibition starting on January 13, 2018. Every January, the entire space of the Founders Lounge in the Frick Center is hung from floor to ceiling with artwork created by students from 10 high schools. The exhibition will feature hundreds of paintings, prints, sculptures, videos and computer art, and works in other media. Certificates, ribbons and a $2,000 scholarship will be awarded to students from each high school. At the conclusion of the reception to celebrate the artists featured in the exhibition, the students can visit the College’s art department and art studios. The 19th Annual High School Exhibition at Elmhurst College will run from Saturday, January 13, through Tuesday, January 23, in the Founders Lounge of the Frick Center. The Frick Center is open days and evenings. The artists’ reception will be held on Wednesday, January 17, from 6:00 p.m. to 8:30 p.m. in the Founders Lounge. Both the exhibition and the reception are free and open to the public. 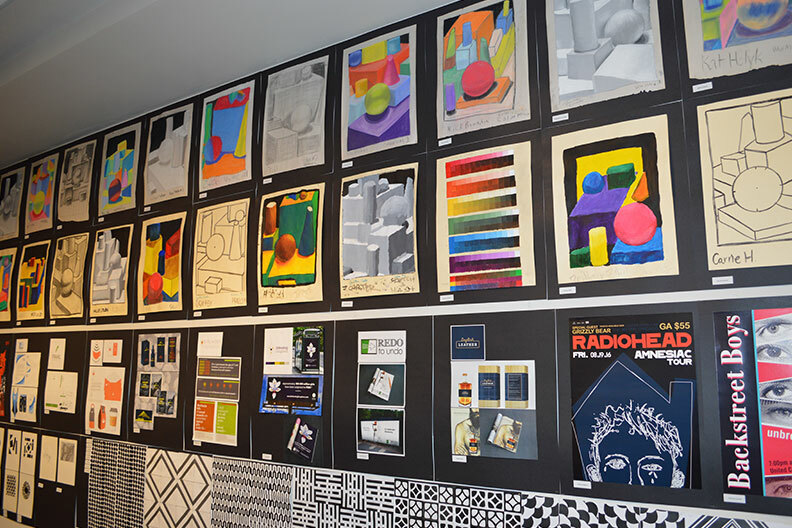 The High School Exhibition is one of roughly a dozen shows that Elmhurst College will present this academic year in three campus venues. For more information, please contact Suellen Rocca at (630) 617-6110 or srocca@elmhurst.edu.